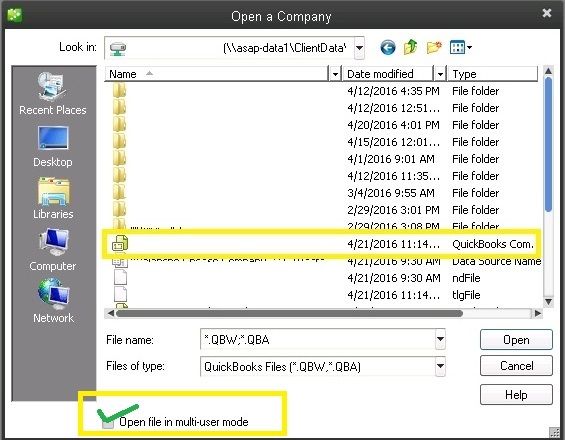 Need to keep your QuickBooks file in multi-user mode after exiting? 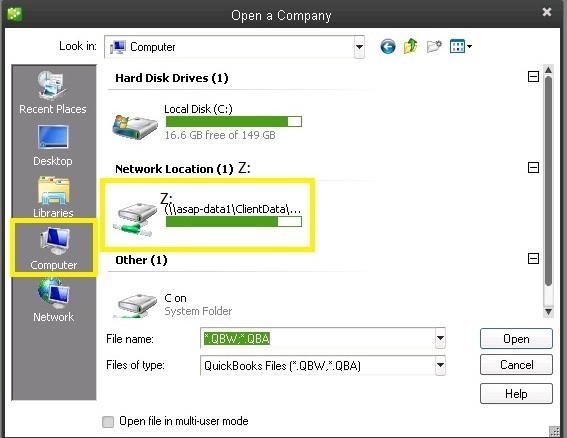 Unless specified, QuickBooks will open a data file in single user mode. You must configure QuickBooks so the company file opens in multi user mode each time. 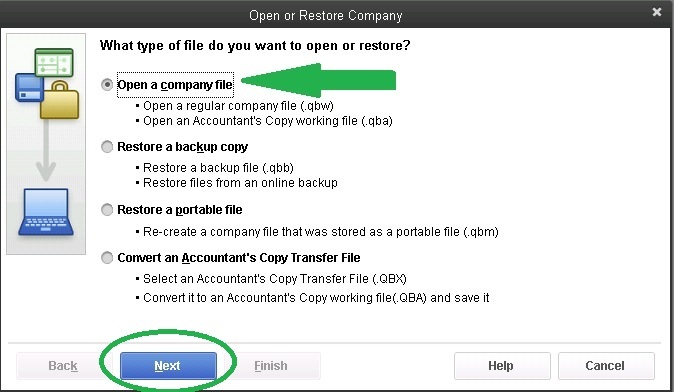 2) From the No Company Open box, select Open or Restore an existing company. 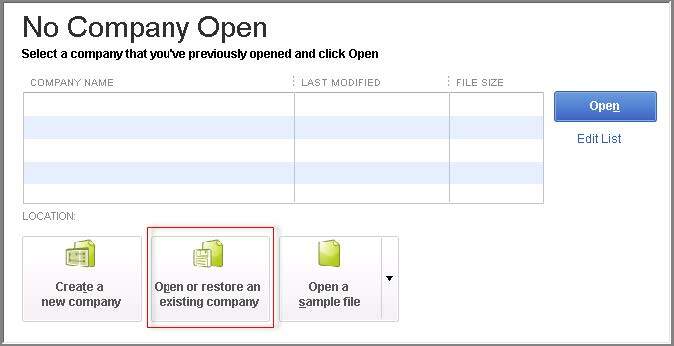 4) Locate your QuickBooks file in your company directory and highlight the file (single click). 5) At the bottom of this window, put check mark in the box Open in Multi User Mode.